I’m so in love with red pants right now, red jeans, harems whatever as long as they are red. The H&M jacket already became a regular in my suitcase, I take it with me wherever I go! amazing pants and love the combo with that jacket! wow! Red is my must have color for this season! Wow love this! You look amazinG! great look, I like this so much! http://lekisskiss.blogspot.com <– MAKE SURE YOU ENTER MY VALENTINO GIVEAWAY!!! The pants look more coral in the photo (to me, anyway), but what a statement either way! red suits you! I’m currently looking for the perfect red sweater. The second photo is amazing…..
Geweldige jumpsuit! Heerlijk die knal-kleur! Not an overall huge fan of harem pants but those actually look really cool. LOVE the military jacket though. Love this jumpsuit: it is nearly like a large pant or a skirt: love its shape! I love the draping of the red jump suit. You look lovely! Amazing pants! Love the colour! 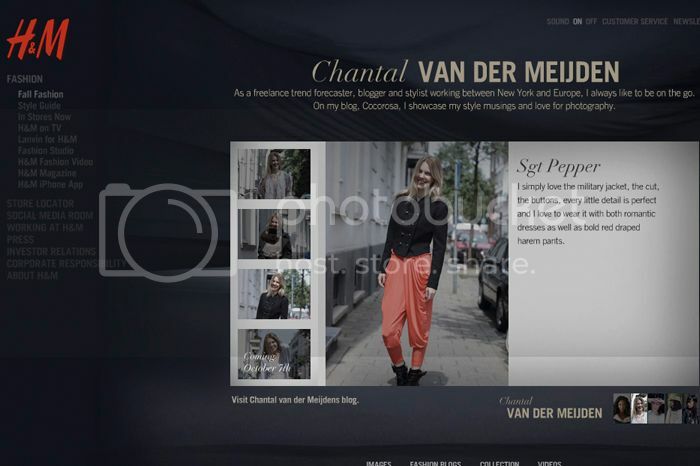 Chantal van der Meijden sounds Dutch! I’m from Holland so it just tracked my attention! Love your boots and the te amo tee from the previous post!! that brand is from mexico pretty cool right?? I would’ve never thought to pair a jacket with harem pants, but it actually looks great. Love the military jacket and how the color of the pants really pops. only you would be able to pull off a red jumpsuit with this jacket! amazing as always. a little break for pastels is okay! I have many dresses like that! wow that jumpsuit is just stunning! Such a wonderful outfit and fab blog! Beautiful, I love this outfit so much!!! I personally don’t like the pants (the cut, I love the colour though), but I adore that jacket, really gorgeous! She looks fabulous with her attire. I have the jacket too, wearing it all the time as well .. Love the way you paired it with those trousers. i ca821n&#7;t bear it anymore you said what can i do ,when i said i’m not strong enough to endure you said i’ll face the beast when i asked GOD for courage you endured where i could not you were part of my answered prayer ! Après avoir vraiment aimé "La femme en vert", et pratiquement avoir toujours trouvé un inaictcute;r&ee&rc;t aux romans de cet auteur, là, je lâche l'éponge : insipide, sans saveur, le Oli, l'intrigue (?) carrément bancale, et la fin, sans aucun panache, se mord la queue. De glace, oui, suis-je aussi restée. EÅŸinizin gÃ¶rev yerinin deÄŸiÅŸtirilebilmesi iÃ§in eÅŸinizin 6 iÅŸ gÃ¼nÃ¼ iÃ§erisinde bu deÄŸiÅŸikliÄŸe yazÄ± olarak onay vermesi gerekmektedir.Aksi halde bu deÄŸiÅŸiklikten sorumlu deÄŸildir.Bu sebeple iÅŸten Ã§Ä±kartÄ±lmasÄ± halinde de kÄ±dem tazminatÄ±nÄ± almaya hak kazanÄ±r.AyrÄ±ca iÅŸverenin,iÅŸÃ§iyi istifaya zorlayarak alacaklarÄ±ndan mahrum bÄ±rakmaya Ã§alÄ±ÅŸmasÄ± halinde iÅŸÃ§i kÄ±dem tazminatÄ±nÄ± alarak iÅŸten ayrÄ±labilme hakkÄ±na sahiptir.Ancak herhangi bir hak kaybÄ±na uÄŸramamanÄ±z adÄ±na bir mobbing avukatÄ±na danÄ±ÅŸarak hareket etmeniz daha saÄŸlÄ±klÄ± olacaktÄ±r. Grace Dent!!! The first twitter (OMG can’t believe I used that word) to make me snort with laughter.I appear to watch all the same reality shows,too. Bellissime foto!E splendidi gatti!!! ^________^Non sono i miei preferiti (propendo di piÃ¹ per i siamesi e gli orientali) ma so che prendere uno Sphynx in braccio dÃ una sensazione unica… sono morbidi, vellutati e dolcissimi.Non possono costare poco perchÃ¨ sono frutto di un'attenta selezione che ne garantisce la morfologia e il carattere, e senza questa selezione questi gatti non sarebbero certamente straordinari come sono.